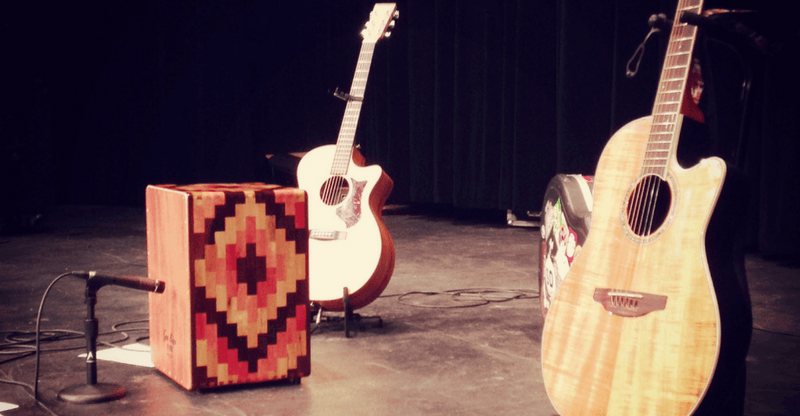 The Cajon has been in use since the late 16th Century in Peruvian music, but more recently, they’re popping up all over the place in modern Flamenco, Cuban and even pop performances. It is an all-in-one box which creates the basic sounds of a drum kit without the need to set up a drum kit, and doubles up as a seat in the process. In this article, we’re going to look at the different types out there and how they suit different players’ styles and needs. A Cajon is a seat-sized box that usually, but not always, has strings or snares inside. These boxes are amplified via sound holes, like the ones you find on an acoustic guitar, and the kind of sound they make can change depending on where you hit them. They can at the very least offer bass and snare drum sounds, and at their best, they can enable creative, dynamically varied percussion parts as you use your hands, fingers or brushes to control the tone and volume of the instrument. Most players of this instrument choose to use their hands and sit on top of the instrument as they play. The main benefit of using one, as opposed to a full drum kit, is portability. These boxes are usually lightweight, small and easy to carry, partly because of the big hole in the middle of them. The fact that you play them with your hands also reduces the need to carry a variety of sticks with you. You don’t even need a stool with a Cajon: it doubles up as one. As well as being a lot more convenient than drum kits, they’re also considerably cheaper and can vary in price, but they’re always a lot less expensive than drum kits of comparable quality. If you’re on a budget and need percussion adding to one of your songs or performances, this is an investment that won’t hurt too much. The sound they make is comparable to the sounds we’re familiar with on rock drum kits. Their built-in snares emulate the sound of a drum kit’s snare drum, and when the Cajon is hit more centrally, it can sound like a bass drum. This easy, instant access to familiar sounds can work as a quick fix for livening up a song or performance. It’s less obvious than resorting to bongos or tambourines and more tonally versatile. Peruvian Cajons are boxes without strings or snares inside. These are the most basic kind and were the first to exist. Despite being very primitive in their early days, Peruvian ones continue to be developed and they are still amongst the most used today. They are typically made of hardwood with a sound hole at the back and a front made of laminate wood. They tend to produce deeper sounds when hit towards the middle, and they give out sharper, shorter sounds when struck near the edge. A Peruvian one would be the obvious choice for a percussionist playing Peruvian folk music. The Flamenco version of the drum uses guitar strings or drum snares to create sounds which are similar to the bass and snare drums on a full drum kit. They typically offer a crisp, lively sound which complements funk, pop, jazz and pop music, amongst other contemporary genres. And flamenco, of course. It’s an obvious choice for the modern musician. 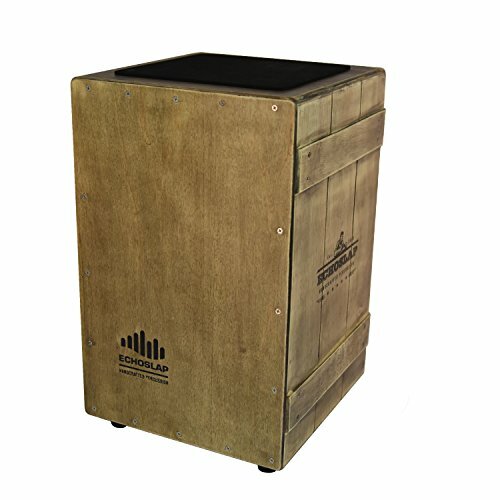 This type of Cajon works in a similar way to a snare drum, and, depending on the model, allow you to switch it on and off like you would with a real drum. These will be well suited to drummers who already enjoy experimenting with this kind of thing. They’re an advanced version of Flamenco one in that they offer a crisp, modern sound. The Cuban version has their sound holes at the base of the instrument, which is open, and unlike other types, are played between your legs. They are used primarily in Afro-Cuban music and are available in a variety of sizes to offer different tones. They offer a wide range of sounds, as they deliver high, crisp notes when played near the edges and deep, bassy notes when hit towards the center. The Cajon is made from a variety of different woods. Amongst the most commonly used are beech, birch, mahogany, ebony, maple, and oak, all of which offer slightly different tones. Beech is a dense wood that offers a full-bodied percussive tone. 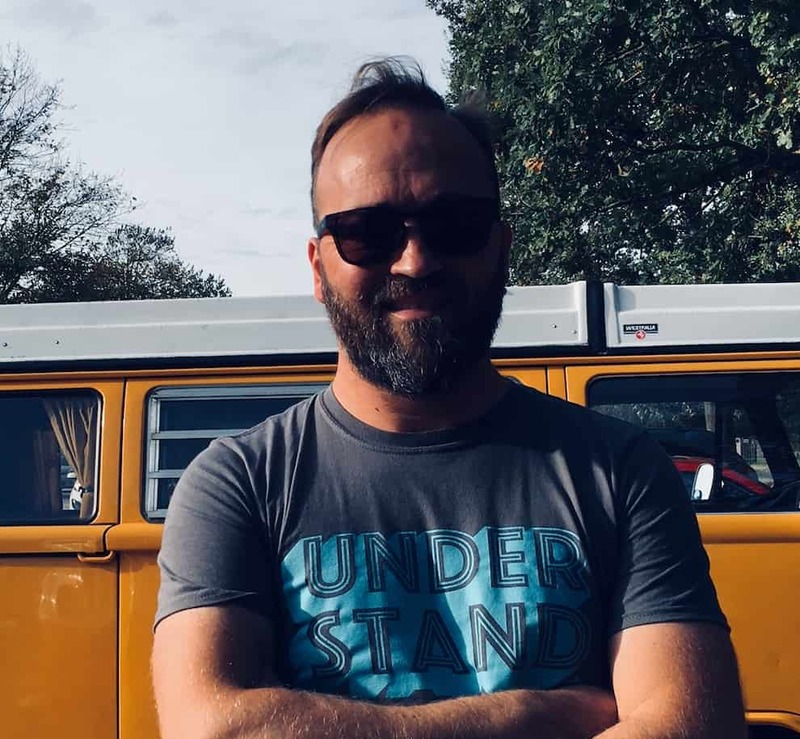 It is durable and provides a rich resonance, and it’s also one of the more budget-friendly materials used to make them. Birch offers a warm tone that projects well and tends to bring out the higher notes, and, like beech, is a budget-friendly option. Mahogany is renowned for its richness of sound, its warmth, and its longevity. It’s not cheap, but it’s a popular choice for the face of a Cajon, while the bulk of the body is commonly made from another wood. Ebony is similar to mahogany but heavier and less expensive. It’s often used for the face of a Cajon, due to the warm tone it offers, and it’s a solid choice for the player who likes the sound of mahogany but perhaps wants something that weighs a little more. Maple is another premium wood, often used for the faces on higher-end models. It produces bright, clear and crisp sounds which replicate high-quality snare drums and it’s lightweight and easy on the eye. Maple is probably the most popular choice for the face of the drum. Oak is another strong wood, which is commonly used for the body of this instrument. It tends to be quite budget-friendly, and has a resonant bass response as well as being capable of delivering tight, warm snare tones. Are you playing folk, flamenco, rock music or Afro-Cuban music? If you’re not sure, a Flamenco or Snare box will offer you a lot of versatility. You can spot this kind of Cajon due to their internal strings, and box-like shape. If you’re certain that you want to play traditional folk, a Peruvian drum is going to give you that authenticity. You can ensure that that’s what you’re getting by checking for an absence of snares. If you’re playing Afro-Cuban music, a Cuban one will be the obvious choice and can easily be separated from others due to its different shape and the way the sound hole is at the bottom. The weight of these portable boxes can vary significantly. Don’t worry, none of them are as heavy as even the lightest portable drum kit, but if you’re looking for something that you can carry on public transport, or on foot from venue to venue, size and weight are important considerations. Birch, maple, and mahogany are among the lighter woods. If you’re a heavier player, it’s also worth considering whether it’s going to take your load. Oak, Ebony, and Beech are heavy and robust woods. These instruments also have an enormous range in terms of cost. Due to their popularity, the Snare and Flamenco varieties tend to be on the lower end of the scale, although of course, you can get higher end models of those. Although more basic, Peruvian ones are often more expensive than Flamenco Cajons, and Cuban ones usually lean towards higher prices. 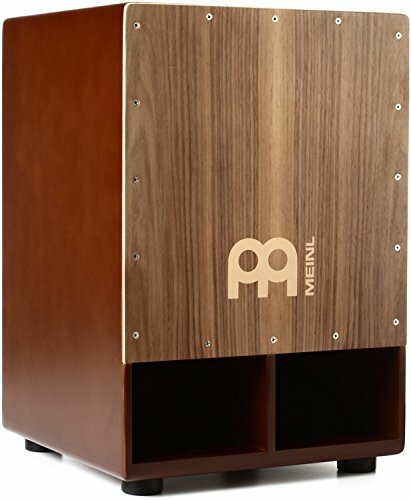 The Meini Percussion Jumbo Bass Subwoofer is a large, heavy Snare Cajon. It has a wide, deep body and two forward-facing sound ports which allow the bass notes to ring through and a Makah Burl front plate which offers a superior resonance. It has comfortable padding on top, making it easy to sit on for long periods, and its width means that it will be well suited to larger players. The size of it, combined with its sound port features, means that it offers the ultimate in terms of bassy tones. It will be well suited to players who want to make an impact and produce booming sounds. The internal snares make it perfect for those who wish to emulate a rock kit. It’s not the cheapest one on this list but will suit the gigging musician who would like to invest. It will be less suited to percussionists looking for a traditional, Peruvian sound, or to Afro-Cuban musicians. Large, thick body and forward-facing sound ports allow bass notes to ring through. Internally fixed snares enable a crisp drum sound. Walnut front plate makes it sensitive and gives you access to an excellent range of dynamics. The large size makes it less portable than some others. 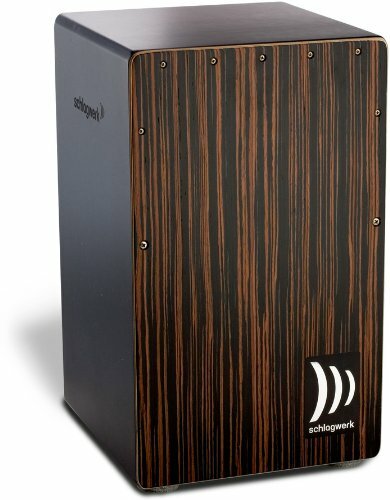 This one from Schlagwerk is a high-quality instrument that works as a Snare Cajon as well as a Peruvian. The internal snares are easily removable, and the drum itself is made from sonic projections Lignum, which offers a rich resonance. It also has an ebony surface, giving it a strong bass sound and making it quite a heavy drum, which will be well suited to those who want something sturdy and substantial. The top of it isn’t particularly comfortable to sit on – it’s just wood – but the edges are rounded, which both helps the smoothness of the sound and makes it visually pleasing. The snare sounds are vibrant, but it doesn’t come cheap. It will suit professional drummers or recording artists who need a punchy, substantial snap in their beats. It will be less suited to percussionists who are looking to replicate a traditional Peruvian or Afro-Cuban sound. Sonic Projection Lignum body gives it a rich resonance. Macassar veneer ebony surface gives it a loud bass sound. This one is made from Baltic birch, which gives it a rich resonance and warm tone, that also brings out the higher notes. It has a crisp snare sound and filled with fixed wires that make it easy to sound like the real thing consistently. The front plate is adjustable, giving you additional control over your final tone and it has a subtle, stylish aesthetic. It’s priced similarly to the Meini one (see above), and it’s lighter in weight, easier to handle and smaller than, although it doesn’t offer the same degree of bass. It will suit those who want to use it as a quick fix to a snare drum sound, and less suited to those who wish to access a wide range of sounds or bassy tones. Constructed using high-quality birch, which gives it a rich resonance. Fixed snare wires give it a crisp sound. The adjustable front plate allows you to fine-tune your tone. Seat is just wood, so isn’t as comfortable as some others. 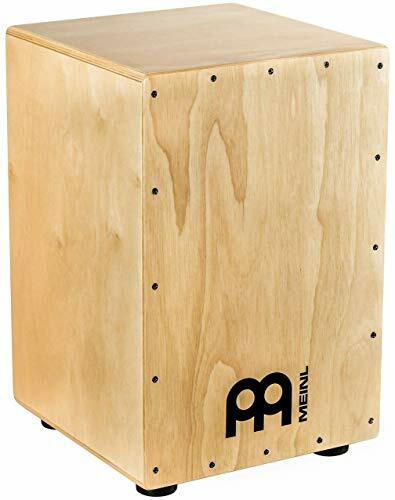 Another by Meinl, this is a comfortable Flamenco Cajon with a stylish, Makah Burl front plate. As well as looking good, it works well with the Baltic birch body to give it a rich resonance. It has adjustable strings inside it which have a sensitive response and can achieve crisp snare drum sounds, but although the strings are adjustable, they’re not easily removable, so you can’t emulate the on/off switch of the real thing. This is a reasonably priced drum, slightly less than the other ones on the list so far, and it’s lightweight and easy to use. It will be well suited to beginner players, particularly those who play Flamenco thanks to its internal strings which are different from an internal snare. It will be less suited to those who require bassy sounds. Baltic birch body and Makah Burl front plate offer a rich resonance. Adjustable strings allow you to alter the crispness of the sound. The comfortable seat makes playing for long periods more manageable. The wood on the front plate gives it an aesthetic that might not suit everyone. 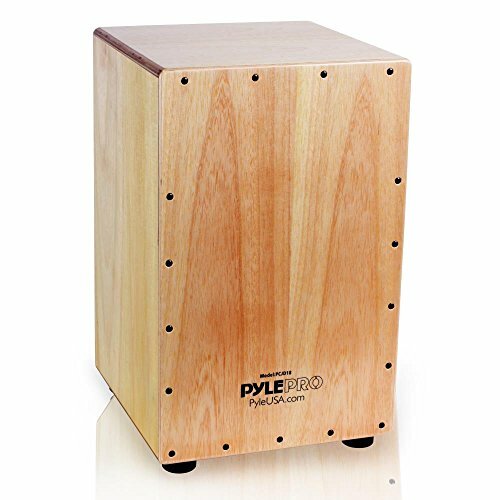 The Pyle Jam Wooden Cajon is the cheapest and smallest on the list, making it the most portable as well as the most budget-friendly. It has internal strings which enable a crisp, snare-like sound, and it weighs just 10.2lbs. It’s unclear which woods this is made from, which might raise some alarm bells with potential buyers, but the projection is pleasant and clear, not poor quality at all. It has rubber feet to ensure that there are no unnecessary vibrations and a simplistic, modest and modern design. It will be well suited to beginners, musicians on a budget or those who are just curious to try one out. It will be less suited to serious musicians. Internal strings enable a crisp sound. It’s so small and light that it won’t be suited to larger players. The unspecified wood lacks resonance and quality of tone compared to more expensive ones. 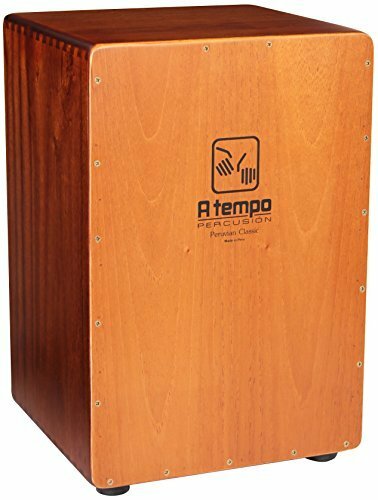 Here we have the most traditional Cajon in our list. It has no snare, making it well suited to authentic Peruvian sounds and it’s made from Spanish cedar and Lupuna plywood, giving it a deep tone and promising longevity. Despite its simplicity, it isn’t cheap, costing more than the majority on this list. However, the quality can’t be argued with, and the stylish, natural finish on the face as well as on the sides are irresistible. It’s perfect for those who are seeking to recreate the authentic sounds of traditional Peruvian folk music. Due to its lack of strings or snare, it will be less suited to those playing punchy pop, flamenco or rock music. Spanish Cedar and Lupuna plywood give it a deep tone and promise longevity. Its simplicity makes it great for beginners. There are no snares, so you might not achieve crisp sounds. The Echoslap Vintage Crate is full sized and designed with the larger player in mind. It is made from oak and maple, making it strong as well as capable of a crisp attack, and despite its affordable price, it even comes with a carry-case. It has adjustable snare wires so that you can fine-tune your tone and it even comes with an included wrench. This is a versatile instrument, which is capable of bassy, warm tones to crisp, cutting snare sounds and it’s easy to play and convenient to transport. It has a comfortable seat and will suit the gigging musician who wishes to play on it throughout an entire gig. It will be less suited to those looking to recreate Peruvian music. Made from oak and maple, giving it a crisp attack. Adjustable snare wires enable you to fine-tune your tone. The comfortable seat makes playing for long periods easy to manage. The snares aren’t easily removable. As you can see, the best one for you will largely depend on what kind of music you’re playing, your build and your budget. If you are looking to recreate traditional Peruvian music, the obvious option is the A Tempo Percussion Peruvian Classic. It’s quite expensive, but authentic in its build and very stylish looking with its cedar and plywood. Those hunting for something bass-heavy need look no further than the Meini Percussion Jumbo Bass Subwoofer Cajon. It’s big, bulky, bassy and has the added bonus of striking snare sounds. The Schlagwerk CP432 2-1 Deluxe, LP Americana Groove Wire and the Meinl box drum all offer excellent snare sounds. If you’re looking for something strong and ‘man-sized,’ the Echoslap Vintage Crate is a sturdy piece of quality kit, that comes at a surprisingly low price. 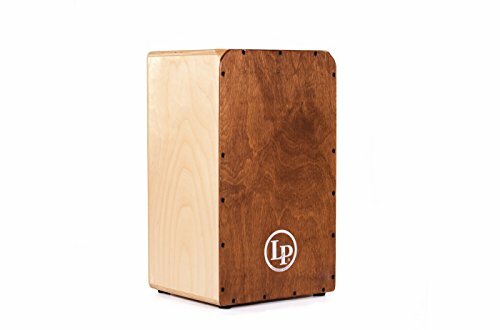 The most budget-friendly on our list is the Pyle Jam Wooden Cajon, which is also the smallest and most lightweight here. Whichever of these suits your needs the best, we hope that you have fun drumming without the burden of a multi-piece kit. Keep on keeping the beat!